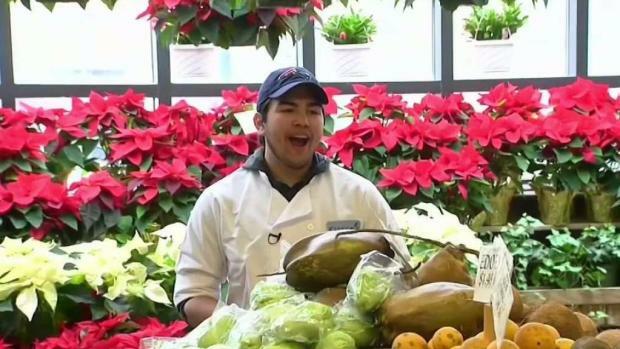 Gilly the singing deli worker has come a long way since NBC10 Boston first interviewed him last year. It has been almost a year since the voice of a singing grocer in Watertown, Massachusetts, went viral. Guilherme "Gilly" Assuncao has come a long way since he got his start in the produce section, and it is giving him a lot to be thankful for this season. Assuncao, 24, is originally from Brazil and started working as a dishwasher at Russo’s in Watertown in 2017. He had been there only four months when he heard the store had singers coming in to perform during the holiday season. As they were setting up, Assuncao stepped in to help with a sound check and ended up wowing the entire store with his voice. NBC10 Boston was first to interview Assuncao, who quickly became a viral sensation. Recordings of his renditions of "O Holy Night" and Andrea Bocelli’s "Con Te Partirò" were shared hundreds of thousands of times. 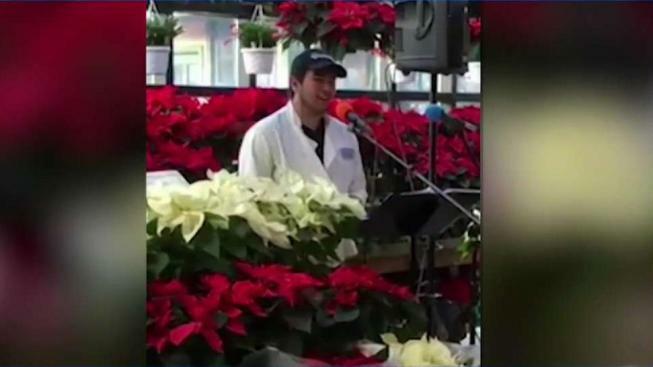 A Watertown grocery store employee whose voice made him a national sensation has worked hard to raise money so he can transfer to Berklee College of Music. Gilly Assuncao has come a long way from when NBC10 Boston first introduced you to him at Russo's Market about six months ago. "My life literally changed from that day to today," Assuncao said. "It’s unbelievable." The national attention led to an audition at Berklee College of Music and Assuncao got in. However, coming up with tuition was far from easy for the international student who is not eligible for a lot of financial aid. Instead, he fundraised, launching a website and singing for anyone who wanted to hear until he had enough for the first year. "It’s incredible to see how much people care, how many people who have helped me and are still helping me," Assuncao said. He is now studying vocal performance, taking notes and hitting them, as a full-time student at Berklee. He is also coming out with a Christmas album to pay for the next three years of school. It will be on sale at Russo’s when it is released. He still makes time to visit the store where he got his start and come December, he will be singing at Russo’s again. This time it will be a planned performance among the produce, the place where he not only found his voice, but also an audience in the aisles to believe in him. "There’s no way to explain how grateful I am," Assuncao said. "This is my dream."